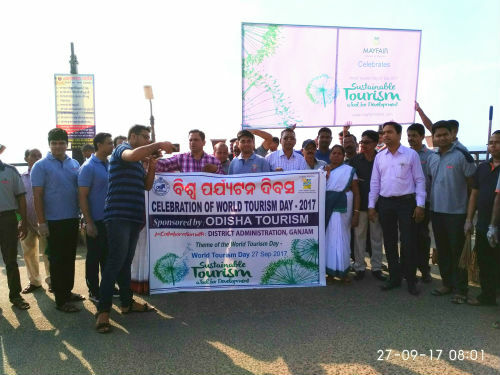 Gopalpur: The day of world Tourism with its theme “Sustainable Tourism a tool for Development” has observed in the beach town Gopalpur-on-Sea by District Tourism office with participation of Ganjam Administration. A Road show and and Beach Cleaning activity are organised to mark the day. Gopalpur NAC Chairperson A. Mahalaxmi flagged off the rally to go in a round in the beach town with cultural troupes. 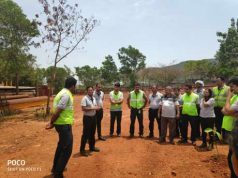 Gopalpur Hotel Association on the leadership of Hotel Mayfair has led the beach cleaning activity and an awareness programme for Cleaning city. Addressing the gathering Sanatan Nayak, District Tourist Officer has focused the importance of tourism for livelihood and requested all to join by heart. Hotel Mayfair Director Nisanta Roy has called the people to make this Beach town clean and green. Among others Sanat Panda, Director and Founder of Samparka Mass Media, Narayan Mahankuda, ditor of Paryatan Bharat, Sabyasachi Kar of OTDC Pantha Nivas, Purna Ch Panda of PREM has presented their views on sustainable tourism. 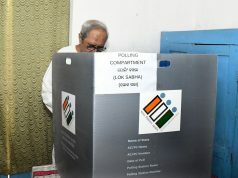 A good cooperation has provided from various department of Govt. Agencies including fire, NAC and District Cultural Committee.